The release comes ahead of the TDE artist’s new album Ctrl. 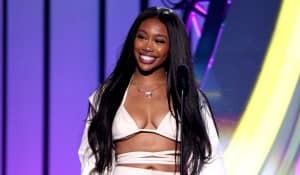 SZA has shared new song "Broken Clocks," which you can hear below. The TDE artist's Ctrl will be out on June 9. The much-delayed album was originally due out in February, before being delayed. So far in 2017 SZA has released the singles "Drew Barrymore" and "Love Galore" featuring Travis Scott. Check out "Broken Clocks" below.